Buying and Selling a Home in Vermont – Why Should You Choose The Holmes & Eddy Real Estate Group at KW Vermont? Whether you are interested in buying a home or property in Vermont, or if you have a home or property in Vermont you wish to sell, you’ll find there are several key benefits to working with The Holmes & Eddy Real Estate Group at KW Vermont. Experience: Licensed since 1982, Kathy knows real estate inside and out. She’s worked extensively with both buyers and sellers, staying ahead of a constantly changing market to consistently produce the best results for her clients. Since joining Kathy in 2013, Kyle has built a solid reputation and strong relationships with local builders and clients. 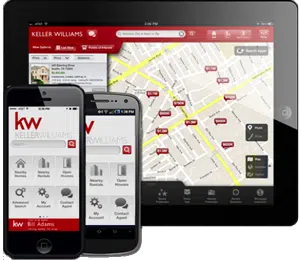 And as a digital native, Kyle’s ability to leverage the latest technology helps buyers easily access the newest listings that match their search parameters, so they find exactly what they’re looking for, fast! Value: Holmes & Eddy pride themselves on being able to work with buyer’s needs to find their best investment, and with sellers to get the best price possible. Education: We are experts at translating our years of real estate experience into useful, actionable information for our clients; educating our buyers and sellers on how to get the most out of their real estate transaction. The Holmes & Eddy Real Estate Group are experienced, dedicated, knowledgeable about real estate and Vermont, and committed to working with buyer’s needs to find their best investment, and with sellers to get the best price possible.